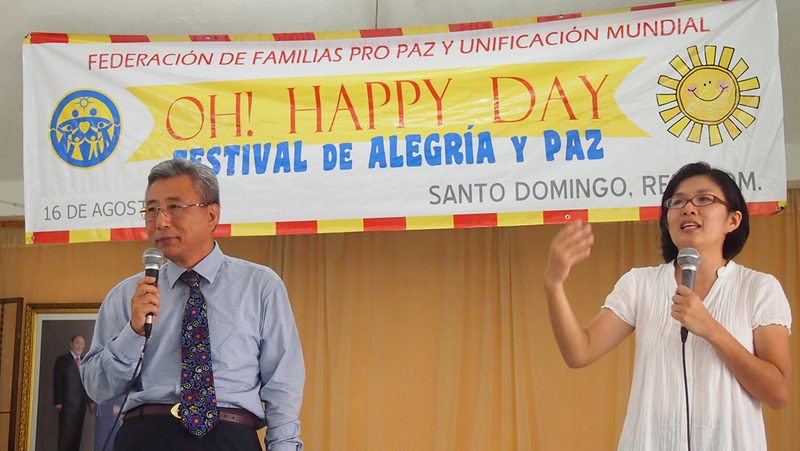 FFWPU Dominican Republic: After two month of preparation, the Special Envoy, Rev. 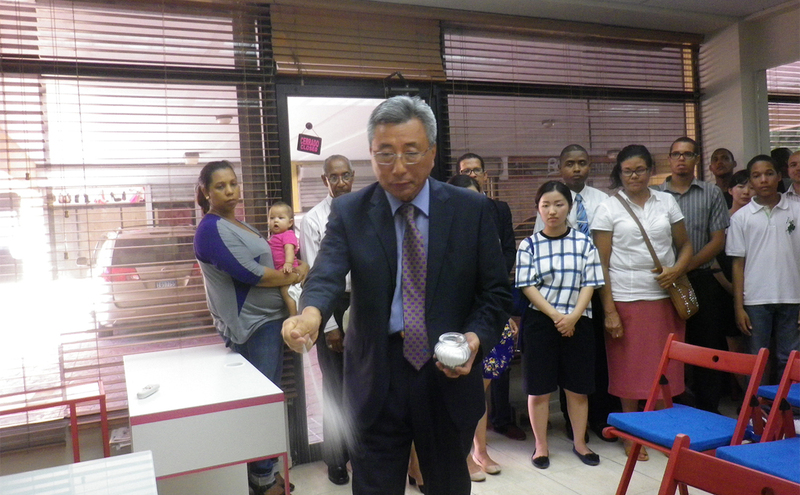 Dae Hee Hong, together with the National Leader and several others leaders, opened the new CARP CENTER in Santo Domingo. In a gathering of 40 members, Rev. Hong did the inauguration ceremony, blessing the place with holy salt and declaration the goal, mission and vision of this new center. The center is located very near the main university where students from whole nation attend to class. For the opening of this new center, Rev. Hong named Mr. Bernardo Cruz as national director who is working fulltime to get 50 new core members until next foundation day. For this goal he designed a program of witnessing twice a day, welcoming the new guests with the introductory conference, inviting them for 1-day seminar which is going on every Saturday. Twice a week he does “Reading Club” of the Divine Principle guiding the regular members of Carp to learn True Parents words through studying the Divine Principle. 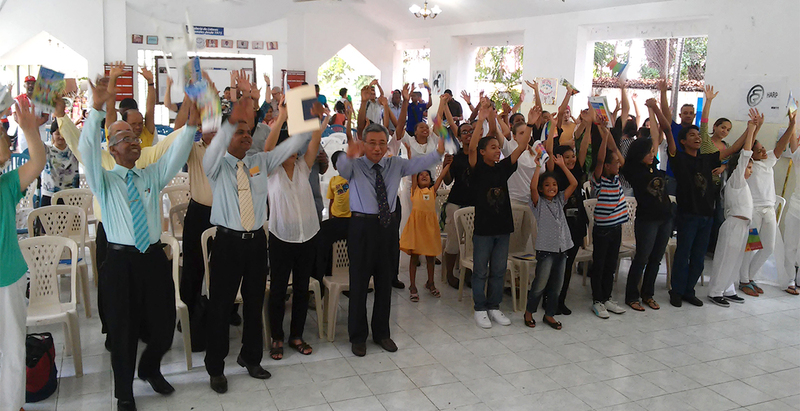 With the out coming result from witnessing and the new members jointed in the home group activities, we celebrated the second !OH HAPPY DAY! In the national HQ of FFWPU. 86 new guests came plus 88 regular members, 7 different groups jointed to the event, including CARP, HARP and several home groups. 174 participants enjoyed the event for the unique propose to make happy the new guests. 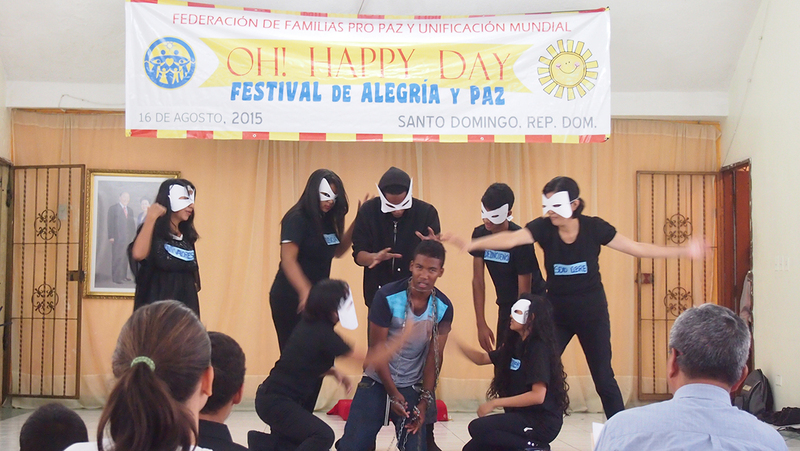 During two hours, they felt the way to live in kingdom of heaven living in joy and happiness. 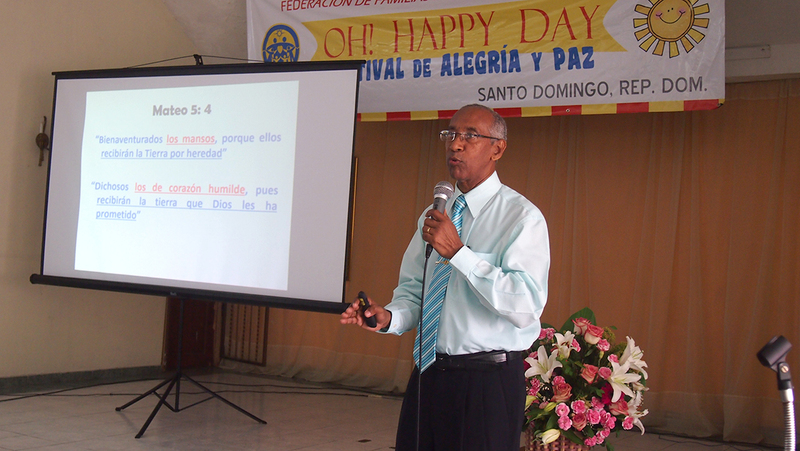 Mr. Cesar Regalado gave a very key message about how to live in peace and inherit the right to be owner of the fatherland. Rev. Hong gave a very enthusiastic words congratulating all participants. The national leader, Mr. Leonidas Belliard explained the principles and value of FFWPU followed by a nice video of worldwide activities. 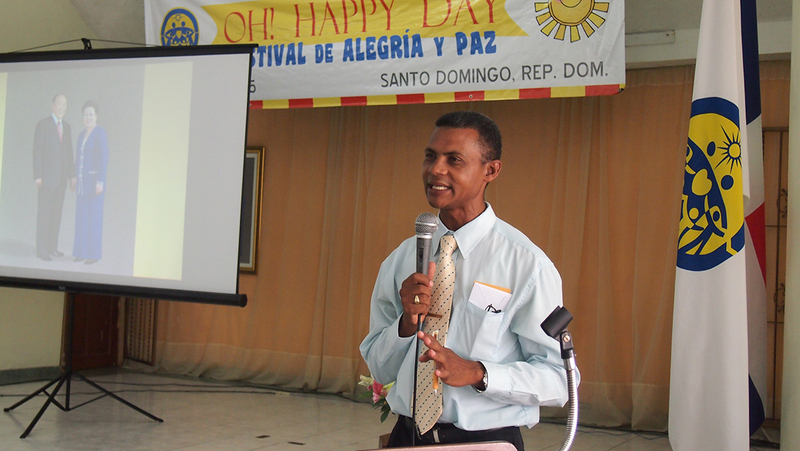 Dominican Providence are in the right way to growth, from now on, we are ready to raise the new young leaders who will guide this nation toward vision 2020.